Due to the massive growth in the number of children and families we support, we could no longer bring everyone together for one year-end event at our hospice this December. We decided to host three separate events to accommodate everyone. However, it soon became apparent that the increase in numbers attending coupled with the challenge of transport cost was going to place a huge financial burden on our already stretched finances. For the first time, we had to consider not hosting a year-end event at all. Thank goodness this thought was only fleeting. The turning point was when Anel van Heerden of Shoprite Checkers visited our hospice for a “chat” she asked what we needed to make our year end events a reality. Anel listened intently as our CEO Sue explained that we now needed to cater for over 600 family members. Our need’s list was huge and included transport, food, gifts, decorations, cooldrinks, etc. Undaunted Anel wrote down everything. Two weeks later we received an email at our offices to say Shoprite Checkers were on board. We were over the moon; our families would still have their year end function which we know they look forward to every year and for some, the gift they receive at our event is the only Christmas present they get. Our volunteer’s and supporters also rose to the challenge. 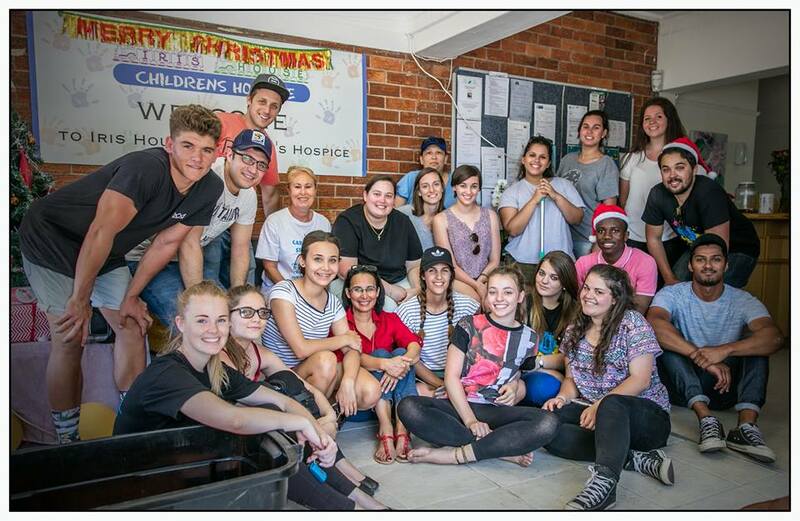 The Edge Church Youth Group Elevate volunteered their time to help us set up, braai and manage the hospice events. They also supplied beautiful gift boxes for our siblings, special treats and a huge amount of love at our hospice functions. Santa, (AKA) family member Frans Bierman volunteered his services for all the events. Our volunteer photographers Irina Mink and David Fisher were on hand to capture the special moments. The amazing DJ team Kobus and Joey volunteered their time and equipment to keep us entertained, and they even travelled with their equipment to Vredenburg. Presents arrived in abundance from so many amazing people and organisations. 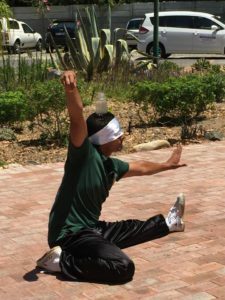 Through introductions from supporter Hassiem Salie we even managed to secure a kung-fu demonstration by world champion M.J. Li and a visit from the current Mr South Africa Habib Noorbhai. Without a doubt, the 2016 family year-end celebrations were the most amazing we have ever hosted. We are so grateful to Anel and her team at Shoprite Checkers and to all our volunteers, supporters and friends who made these events possible for our families. 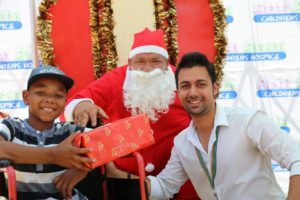 You have shown us once again how caring and generous the people of Cape Town are and inspired us never to give up our mission of providing care and support for special needs children and their families.